CFD consulting services is at the core of what we do here at our Singapore Offices in BroadTech Engineering. 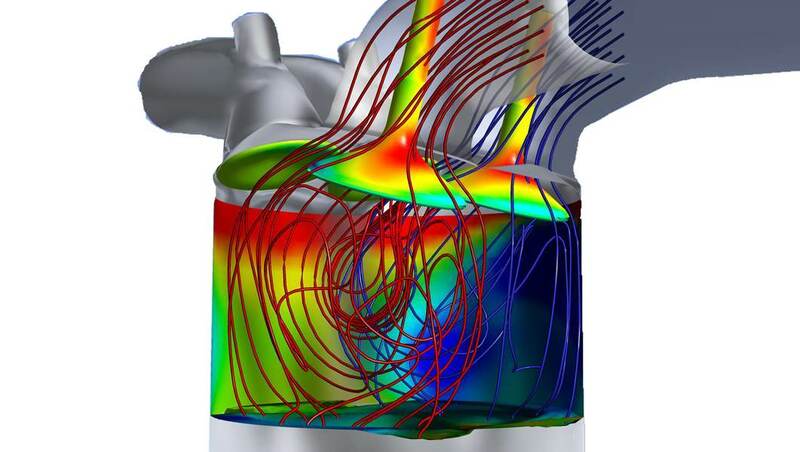 We offer Computational fluid dynamics (CFD) engineering consultancy services which is suitable for a comprehensive range of specific simulation scenarios and requirements. 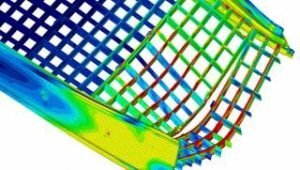 Our CFD consultants engineers are professionally trained and skilled in using industry leading CFD simulation analysis software tools (such as ANSYS Multiphysics, ANSYS CFX, ANSYS Fluent, and ANSYS IcePak) and have accumulated over time a broad variety of applications experience in various industries, which allows us to solve all your CFD simulation needs. With our complementary combination of world-class CFD analysis tools and engineering talent, BroadTech Engineering can provide you CFD consulting services via an optimal engineering approach to obtain the best answers based on your real-world engineering requirements and constraints. Whether you CFD engineering project is technically simple or highly complex, we have the CFD service capability to help you achieve your engineering objectives. 1. Providing our extensive consulting experience gathered across a broad range of industries. 3. Professional training to enhance the CFD capability & sustainability of our partners and thereby maximising the ROI value of their business. 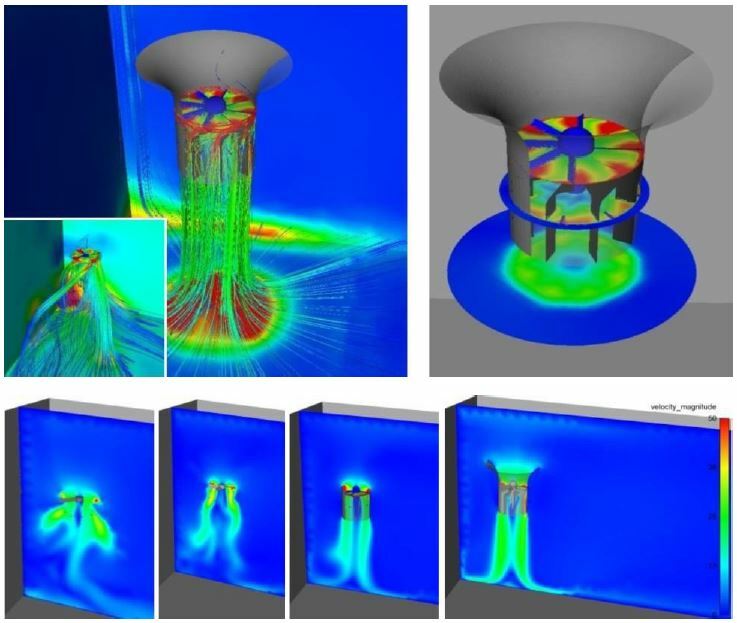 All of our CFD simulation theoretical models has been thoroughly put to the test by real-world verification experiments and cycle testing, which gives us allows us to have the capability to provide industry standard CFD consultancy service to our clients. The objective of this analysis was to determine pressures generated by turbulent airflow over the structure, so as to provide data for the subsequent structural calculation. In order to get fast results, a 2D steady-state finite volumes approach was selected, utilizing a pseudo-transient formulation (under-relaxation) to guarantee a suitable convergence for this extremely turbulent case. After testing many Boussinesq-type turbulence models, the K-omega SST model was finally selected, with a final mesh ensuring y+ lower than 10 everywhere on the shelter surface. A coupled pressure-velocity scheme (segregated grid) was preferred since enough RAM memory was available and this method is clearly superior in both accuracy and convergence rate to segregated methods. 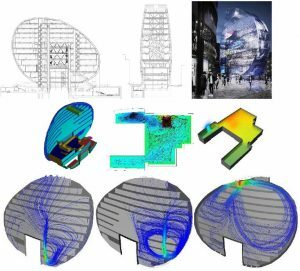 As no pressure values were suggested by the available structural code, the results presented allowed the structure to be correctly calculated for wind speeds up to 30 m/s. Since this equipment carcass was mainly subjected to thermal loads resulting from the air heating process, the CFD approach allowed a thorough determination of the temperatures on the outer shell forming the enclosure. For this project, a premixed combustion model had to be used, in order to reproduce the heating process of the real machine. A flamelet library was created to reproduce the combustion process reaction heat generated, as well as the chemical reaction byproducts generation, such as CO and NOx. For the flow itself, a steady-state, 3D model using quarter symmetry was selected, again utilizing a finite volumes approach, node centered in this case, however. Using an unstructured mesh layered at the walls, with three levels of refinement, trials were conducted with several turbulence models, and the SST model was selected in favor of the more accurate, but less reliable Reynolds Stress models (7-equation). Finally, for transferring the combustion heat to the outer shell, a volumetric Monte Carlo radiation model was selected to ensure correct heat flow and distribution. As a result, after measurements were carried out during the carrying out of our CFD consulting services, it was found that the average error was about 5%, while byproducts mass flow at the outlet was as good as 2% error (averaged). Convective heat transfer to an impinging air jet is known to yield high local and area-average Nusselt numbers. Our engineers simulate this heat transfer over a wide range of study parameters, including Reynolds number and mist mass fraction, and three jet shapes: circular, half circuit, and quarter circuit by using ANSYS CFX. Simulations conducted during the course of our CFD consulting services show that when compared with air only, mist provides higher heat-transfer enhancements for the first two shapes but is insignificant for the third. The area-average Nusselt number is higher by ~100% for the half-circuit jet than for the circular jet for both single-phase air and mist. With 0.5% mist, the area average Nusselt number of the circular jet is enhanced by 41% at Reynolds number 10000. Three turbulence models SST Gamma Theta, k-w and k-e which all found in ANSYS CFX were used. Velocity contours, pressure coefficient profiles and turbulence levels contours were discussed. 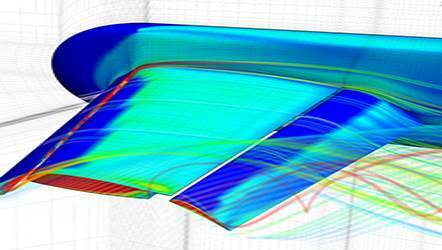 Simulation results from the CFD consulting services rendered indicate that three models calculated the cross flow boundary layer with different thicknesses. This leads to a difference in calculation each the momentum of the cross flow fluid closer to the jet exit and cooling performance. 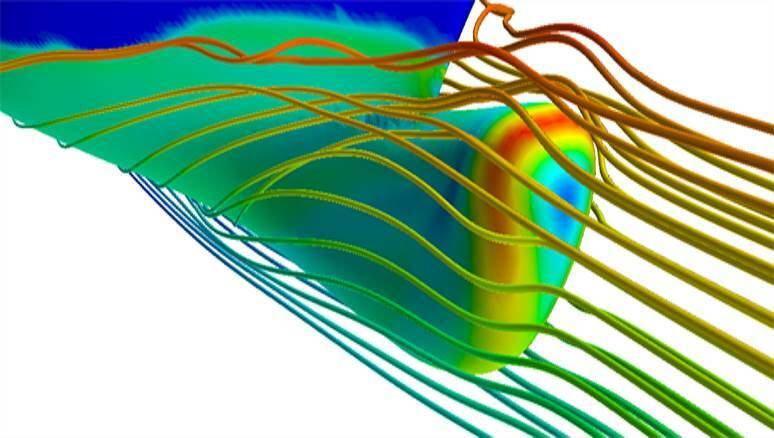 Computational Fluid Dynamics (CFD) simulation models are built based on the ability to mathematically calculate the fluid flow using the input parameters, such as variation in particle vector velocity and net pressure values throughout the fluid volume. 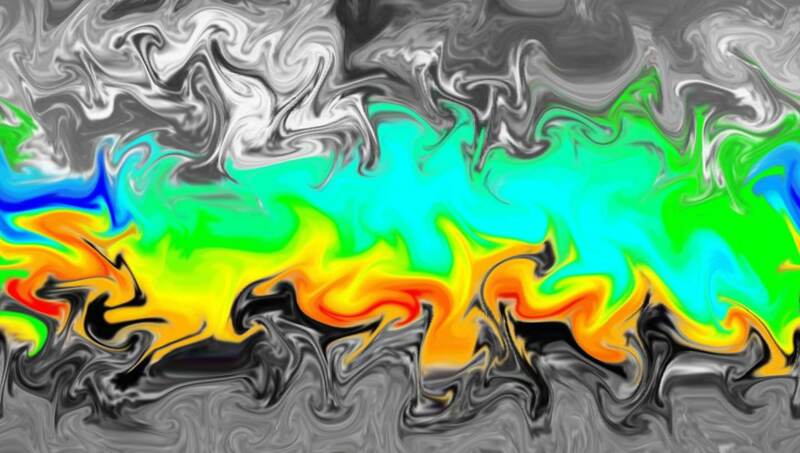 CFD simulation models have been evolved over time to encompass more complicated Multi-dimensional physics and Computational fluid analysis like combustion reactions, detailed flow turbulence (multiphase, Non-newtonian, Hypersonic), aeroacoustic, and coupling with a whole range of other physics solvers. This original, highly validated CFD numerical models are still widely used relevant today to answer a significant number of fluid challenges when the more complicated CFD models are not necessary. ● Complex accurate material models that can take into account Newtonian & Non-Newtonian viscosity, real gas compressibility, Single-phase & Multiphase effects and Subsonic & Hypersonic flow. 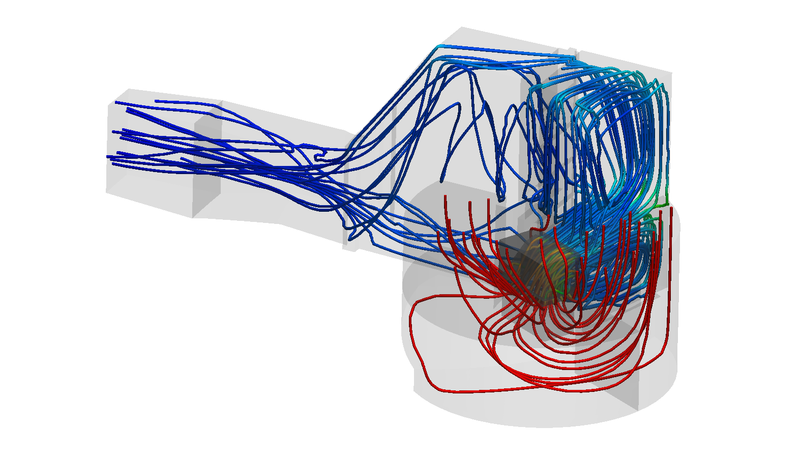 CFD simulation models can be used to calculate the heat transfer through Solid and Fluid bodies through Conduction, Convection, and Radiation. It is from this CFD simulation models that the heat transfer coefficients for virtually all types of flow conditions, such as Natural, Forced, and mixed convection flows can be derived. 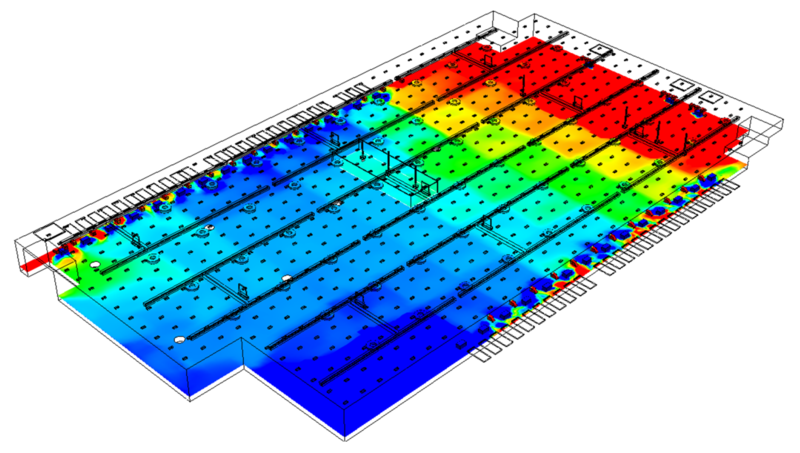 More complicated heat transmission behaviors like Viscous heating, compressibility, real material models, and Material phase change (such as Evaporation, Flashing, Cavitation, and Boiling) can be also included in the CFD thermal analysis. The rotating frame of reference equation of the Navier-Stokes formula is used to include the rotating motion of parts such as propeller rotors, impellers, and mechanical mixers. This analysis method does not require a remesh to accurately capture the motion coupling to the standard stationary formulation of the Navier-Stokes equations. 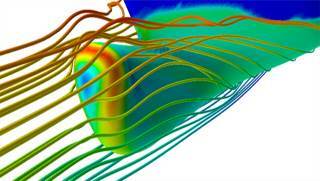 This simulation process allows the advanced ANSYS CFD software tool to capture the dynamic fluid motion accurately in a timely manner. This allows for a precise performance validation, of rotating mechanisms such as Mixing tanks, Pumps, fans, compressors, and turbines. 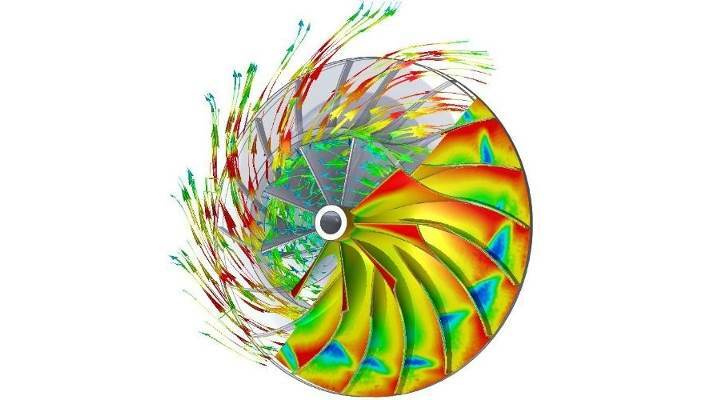 These simulation technologies include advanced turbulent models, like the mentor laminar-transitional SST turbulent flow simulation model, which have a long historical record of validated use in CFD modeling of rotating machinery. The real gas properties of the fluid can be included along with multiphase physical characteristics like as Cavitation to accurately calculate on and off design performance. 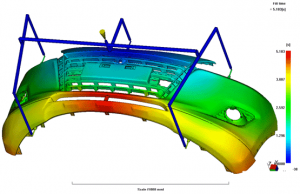 ANSYS CFD capabilities include computation of additive and diffusive transportation of different chemical species and the resulting mixing of species. We can also use ANSYS CFD software tools to model in precise detail complete chemistry reactions with our Chemical Reaction Design solver. Coupling the detailed flow field and chemistry, even complex real-world chemical reactions challenges can be solved. We are also able to accurately simulate up to thousands of chemical reactions, to enable prediction of even minor chemical species in complex real-world geometries. 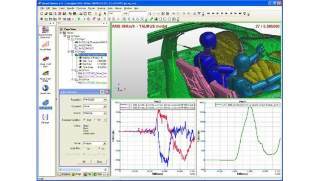 ANSYS software tools are widely recognized in the CFD simulation arena as the industry-leading multiphysics simulation modeling toolset. They allow for accurate and robust coupling between the different physics modeling tools. 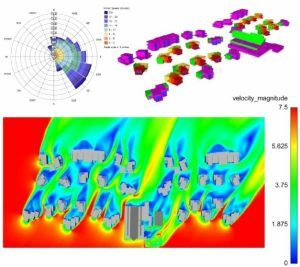 These advanced tools enable BroadTech Engineering to model a wide variety of multiphysics and multidisciplinary simulation models. 3. Tightly coupled flexible deformation of the solid bodies reacting to the spatial-varying and time-dependent fluid pressure loads and shear loading forces. Using the volume of fluid (VOF) numerical model, we are able to use ANSYS CFD simulation to predict the location of the free surface interface position and its interaction behavior between two or more material phases. To allows for the concurrent modeling of numerous multiphase flow conditions, other simulation input parameters such as Inter-phase transfer of mass (phase change), Species, Energy, Momentum, and Surface tension, can also be included in the CFD simulation. Even more advanced physics can be included in the Simulation, such as inter Phase transition, Chemistry, Breaking up of the dispersed phase, and variation in Flow regime. ● Multiphase phase change simulation models, including Cavitation, Boiling, Condensation, Wall boiling, Flashing, and Species transfer. 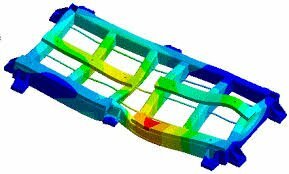 The evaluation of design changes is a strength of CFD numerical simulation in general. Once an initial simulation model is solved, subsequent resolving with new input conditions and geometry conditions simply involves updating the CFD numerical model and rerunning the CFD simulation process. BroadTech Engineering has a comprehensive suite of advanced simulation optimization tools (such as Non-parametric optimization tools) that can intelligently guide the optimization process. 2. Simulations should be carried out with and without Boosters (ON/OFF) conditions for a given Species. the initial optimal grid was generated.The grid size was about 100 Million volumes. The unsteady pressure loads are highly non-linear and have localized effects which can excite frequency that can damage the Launch vehicle structure. So proper care was taken while generating the grid to capture the local unsteady effects. 2. Steady Simulations were carried out using flow solver HiFUN for flight conditions and steady pressure are computed. This solution can go as an initial solution for an unsteady simulation. It’s a RANS simulation with Spalart-Allmaras(S-A) turbulence model. Second-order spatial discretization with Green-Gauss based reconstruction was employed. 3. Unsteady Simulations are carried out with Steady state solution as an initial guess. Second-order spatial discretization with Green-Gauss based reconstruction was employed. Second order Backward Euler time integration procedure was used for time. 4. Time-Step was chosen based on the simulation frequency and simulations are carried out with HiFUN Unsteady solver with Duel-time stepping procedure. The minimum convergence criteria at Dual iteration was ensured for a proper convergence. 5. Based on previous simulations results, the successive grids were generated and time-step sensitivity study also done. 1. Unsteady and Steady pressures are computed on the surface of the Launch vehicle and were compared with wind tunnel and flight data. It was observed that more than half the ports data were comparable with flight and wind tunnel data. 2. A set of procedures were established to carry out the future CFD studies for the Heavy Lift Launch Vehicle along with grid sensitivity and time-step sensitivity studies. 3. Based on the unsteady pressure data, all local frequencies were calculated. This is one of the important parameter used for structural design modifications. 4. Finally, It’s a computationally very intensive study due to handling such a big grid size and also Unsteady simulations along with a Multi-Species. The computational requirements for such studies also recorded. 2. Capturing the Pitch-Up phenomena on a Fighter aircraft at transonic speed. 3. Finding out the characteristic behavior of the Vortices on Fighter aircraft wing at transonic speed. 1. A hybrid unstructured grid was generated with an appropriate mesh refinements on the wing surface to capture the vortices. 3. Steady RANS simulations are carried out with S-A and SST turbulence models. Roe/HLLC scheme with second-order spatial accuracy was used. Green-Gauss based reconstruction procedure was used along with limiter. All simulations convergence level was ensured with proper CFL number and relaxation factors. 1. The Pith-Up characteristics of a Fighter Aircraft were studied and It’s compared with wind tunnel data. 2. Grid resolution on capturing the vortices plays an important role to capture the aircraft Pitch-Up. 3. Using the Higher-Order scheme with RANS does a better job than using Euler Simulations. 4. Numerical Stability issues were found while using Higher-order schemes to capture the Pitch Up due to massive flow separation and Shockwaves. So choosing schemes and CFL number to be appropriate to ensure the desired convergence. 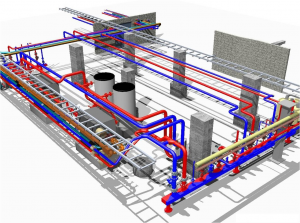 We understand that identifying and engaging the right CFD consulting service provider for your engineering project can be daunting sometimes as you want to have a sense of confidence in their professional recommendations. The above areas of consideration allow you to determine if a CFD company is the best fulfills your project needs & requirements. In the interpretation of CFD data results, the experience is crucial in discerning whether one has a false result or a real result that can be taken into production. We strongly believe that this is our competitive edge and a proven value proposition that we can provide to our CFD consulting clients.